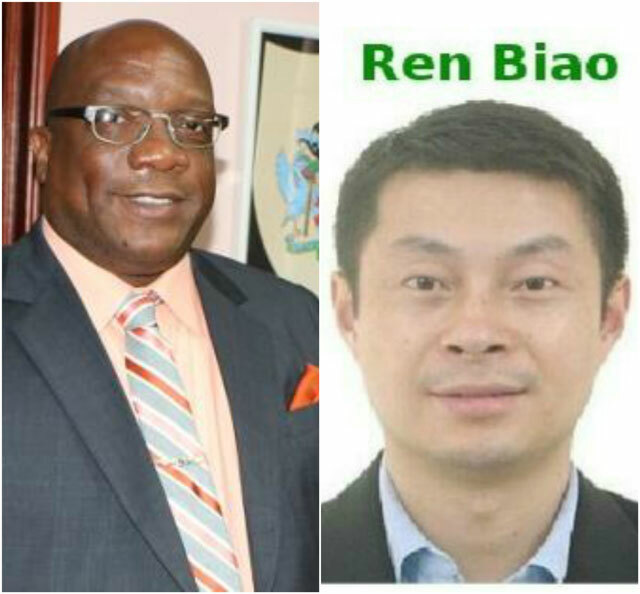 Basseterre, St. Kitts-Chinese National with St. Kitts and Nevis citizenship Ren Biao, who is wanted by the Chinese government and Interpol for financial crimes is currently in police custody in the Federation. This was confirmed by Prime Minister and Minister of National Security at his monthly press conference on Wednesday but refused to give much details surrounding the incident. He further slammed the Opposition for what reporting propaganda on the matter in an effort to destroy the reputation of St. Kitts and Nevis. Commissioner of Police Ian Queeley however declined to comment on the matter at the press conference. Reports on Wednesday stated that Biao was taken in police custody on Nevis and was seeking legal representation and on the matter. Biao, who is currently a resident in St. Kitts and Nevis, has dominated the news cycle in recent weeks with Harris’ administration stating that the individuals who are at the centre of the matter have to be afforded due process that conform with the laws of St. Kitts and Nevis and that there is no basis for extraditing St. Kitts and Nevis citizens in that way. The government however was firm in stating that as a citizen of St. Kitts and Nevis the Biao ought to be afforded due process for any extradition request.